This week they had us working on a different job in the back of Warehouse 1, in the shade, good thing as it hit between 30 & 34 C this week. 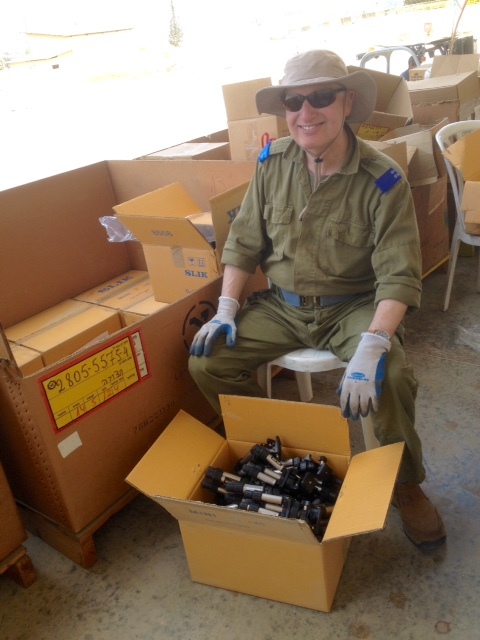 We were unpacking and sorting various things like small tripods, old parts from tanks and other stuff, many for recycling. This is where we meet every morning. On Tuesday, we had a special treat. 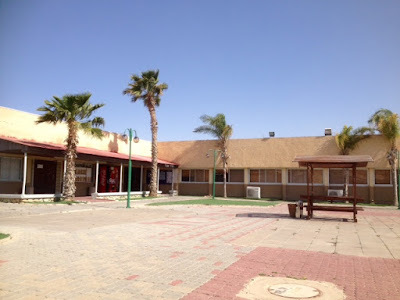 Our madrikha's took us into the town of "Beer Sheba" for a tour and lunch! 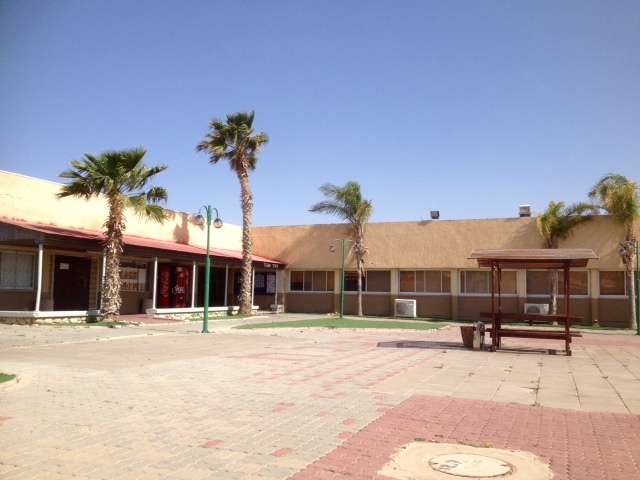 We saw the Allenby Park and enjoyed a "schwarma" ... yummy! Then we toured the shuk and back to work! On Wednesday morning we had to clean, clean, clean our rooms for Pesach! This took all morning and we had an inspection. We all did a good job! 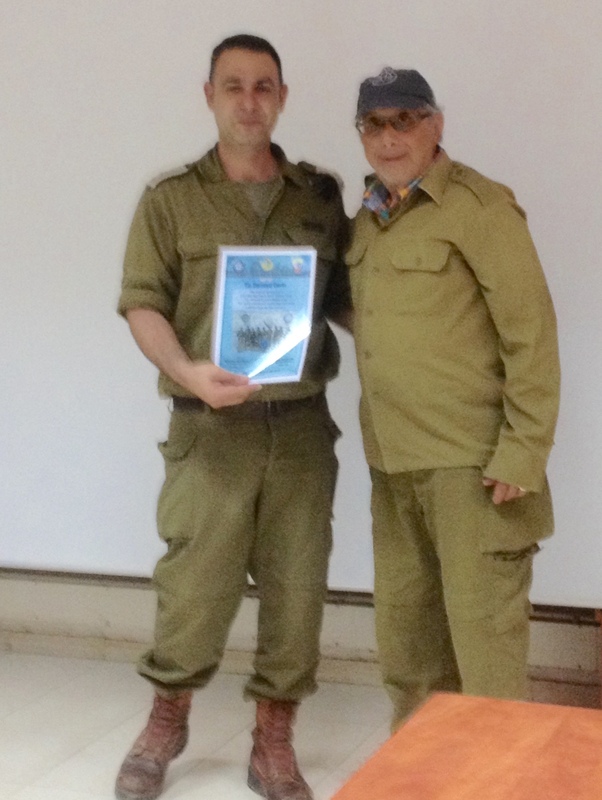 After lunch, we had a special speech from the base Commander, where we all "graduated" from the IDF. 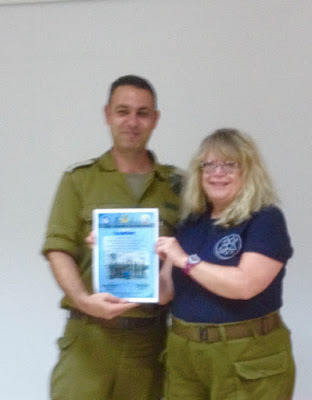 Each of us was presented with a special laminated "diploma" with our group photo on it and a big "thank-you", along with a very cool keychain. Very short work weeks here on base. 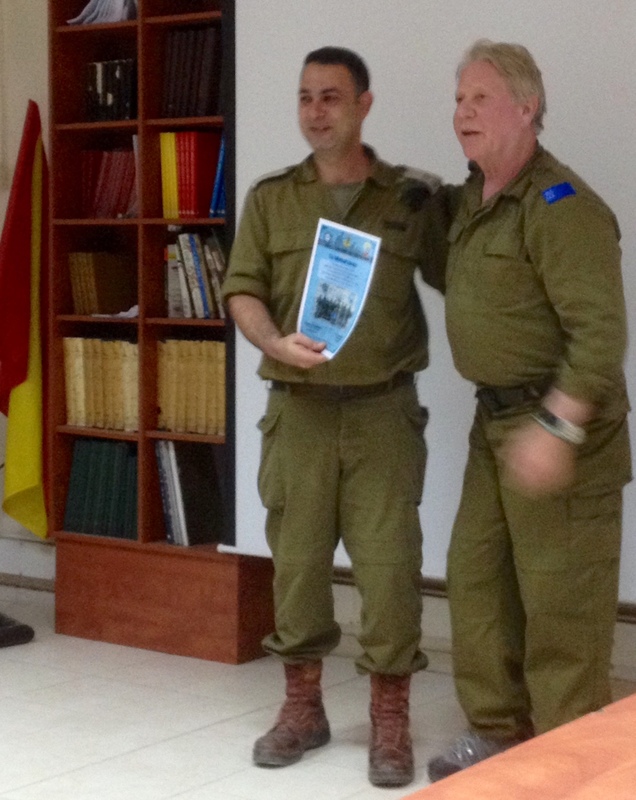 On Thursday morning we said "good-bye" to our base and drove to Tel Aviv. Here Sar-El treated us to an incredible, "not-to-be-missed!" 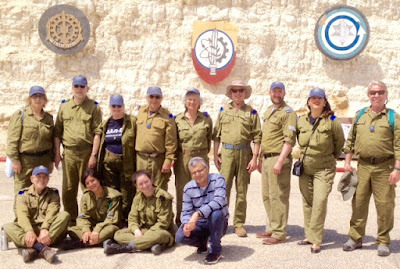 tour of the "Palmach Museum". We have never seen a museum like this! It was the story of the entire creation of Israel as told by a group of new friends who arrived in Palestine and formed the first army. We moved through exhibits that put you in the middle of action. When the group first met, it was in a forest. The exhibit we were in was the same forest re-created. The movies projected on the walls were 4D and some were "hologrammed" faces of the actors on wax figures beside you. As we moved from exhibit to exhibit, we were in the recreated space the movie depicted. One exhibit was in a café and we actually smelled the roasted coffee! The last exhibit showed the massive fighting and casualities as told by this little group of very brave soldiers. We were seated on a rocky dark hill, with wax soldiers all around us as the fighting began. I thought I was having a "panic-attack" as the rocks we were sitting on were shaking and moving. Bernie thought it was an earthquake, but didn't want to tell me. It really was the room we were in that was moving, as the room rotated to different dioramas. This is one museum we will NEVER forget. 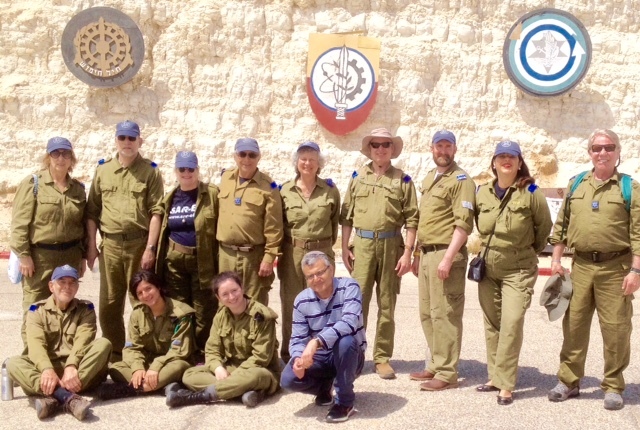 The whole experience was incredibly "life-like" ... we really felt we were in the war! 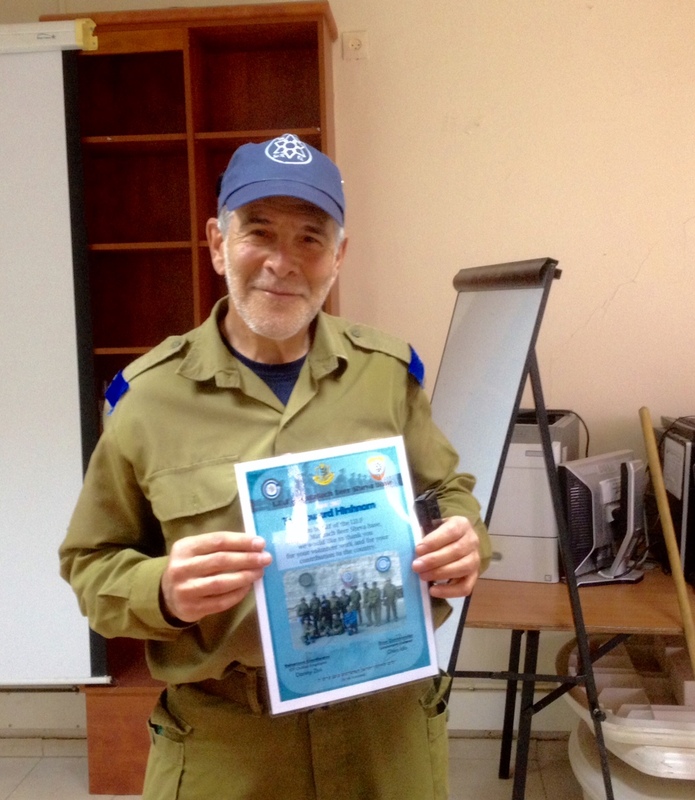 We said "good-bye" to our sweet "madrikha's" and headed to the Tel Aviv train station. The five of us; Stewart, Howard, Sylvia and us, took the train to Jerusalem together. We saw a different, majestic view of the mountain range and valleys, as we twisted and snaked through tiny mountain passes. If you ever get the chance to do this - it is unforgettable! After an hour, we arrived in Jerusalem around 5:30 and took a bus through the centre of the city. Thank goodness for Sylvia, who really knows the city. She left on foot to search for our place while we took a well-deserved break over coke & pastry. She found our B & B, right in the middle of Ben Yehuda Street and King George. We thankfully bought her a snack. She even walked us right to the door. Time to explore the markets and find food for Shabbat! Come back next week for more exciting news about our six week journey to Israel. Please forward this to all our friends!